If you're like me, you've been seeing the eclipse technique all over the internet lately and been slightly mesmerized by it. It reminds me of Layering Inset techniques, where you die cut a gazillion of the same piece and glue them together before inserting them back into the space from where the originals were die cut! But that takes a lot of time, patience, glue and precision. With this technique, you get the same result with half the effort. 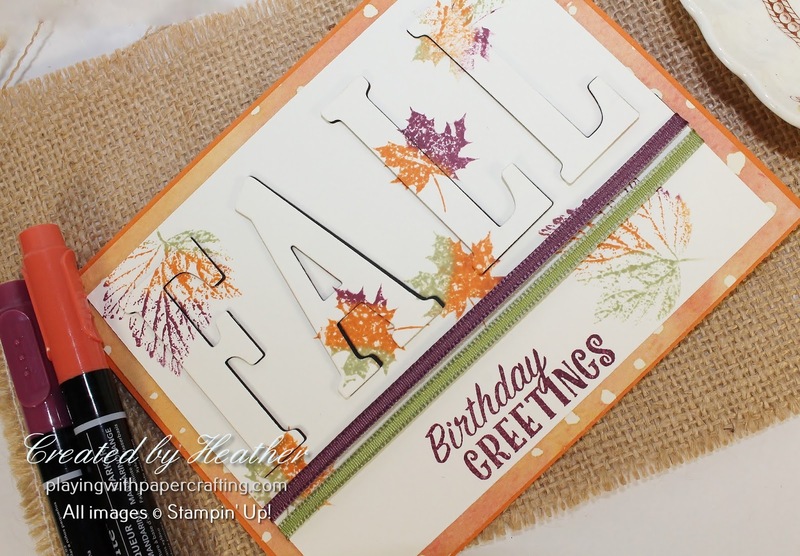 Take a look at this sample I did using images from Colorful Seasons and Gourd Goodness stamp sets and the Large Letters Framelits. 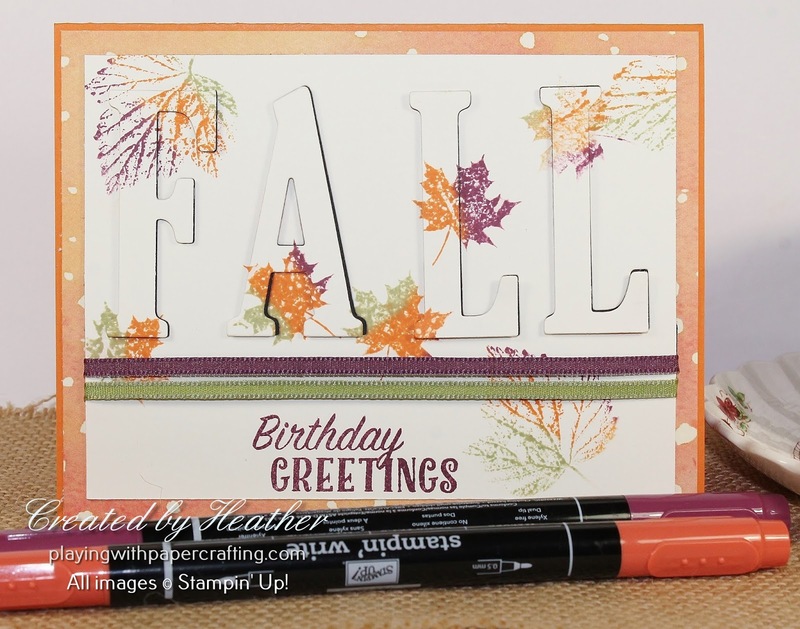 This card also used the Babywipe Technique for stamping the multicoloured leaf images from Colorful Seasons and Gourd Goodness. 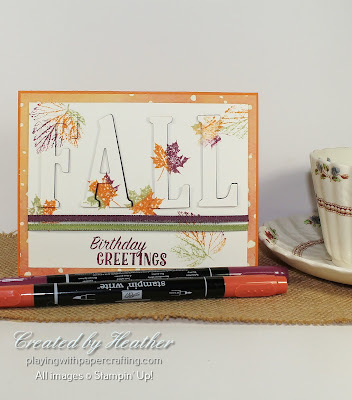 The sentiment is from the Birthday Delivery stamp set, stamped in Rich Razzleberry. 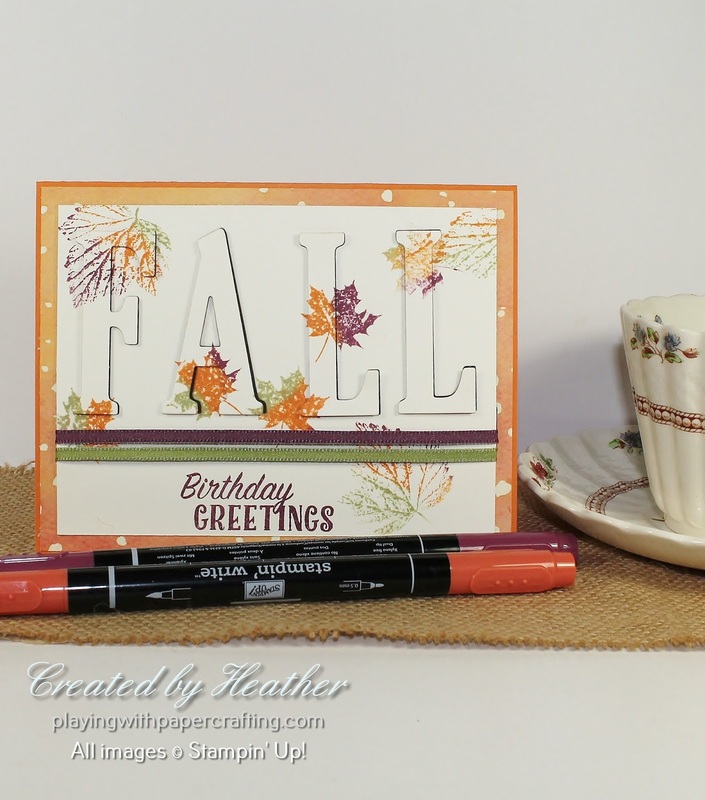 The background is Painted Autumn Designer Series Paper. This card with it's two great techniques: the Eclipse Technique and the Babywipe Technique with be featured on my free monthly photo tutorial, available to anyone who is a subscriber to my free monthly newsletters. The tutorial features step-by-step instructions complete with photos plus a list of materials used with measurements included. If you would like to receive this tutorial, simply enter your email address in the box below and hit "Go". You will be able to unsubscribe easily at any time you would like. 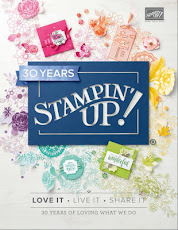 There are some exciting promotions coming up with Stampin' Up! in October! In fact, it's one of the best Octobers I can remember. First, there is a Designer Series Paper deal coming up, where you can buy 3 packs of DSP and get another pack free from a selection of current DSPs. 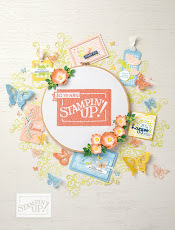 Then to celebrate World Card Making Day on October 7, Stampin' Up! 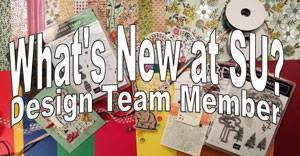 will be offering 10 days of 15% off selected stamp sets and Notecards, as well as a great deal on adhesives!! Finally, there is the Merry Patterns Host Promotion that continues through to the end of October! 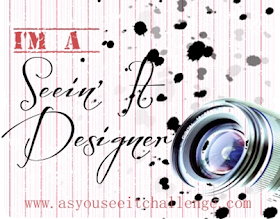 I will give you more info closer to the beginning of the promotions!! Just wanted you to be aware that they were coming! 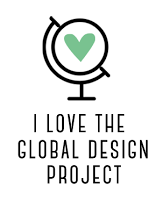 Plus there is another BIG SURPRISE coming that I can't tell you about just yet, but will let you know about in October!